Sultan Ahmed Mosque in Istanbul is often referred to as The Blue Mosque. Nicknamed for its blue domes, this elaborately decorated mosque was built between 1609 and 1616. It is considered one of the most beautiful structures on Earth! 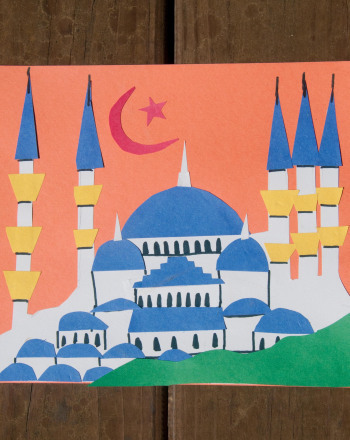 Following the easy instructions below, your kid can build his own Blue Mosque just in time for Ramadan by drawing, cutting and assembling paper shapes. First, take a look at the Blue Mosque together and talk about the major shapes that make up the structure. Does he see half-circles in the domes? 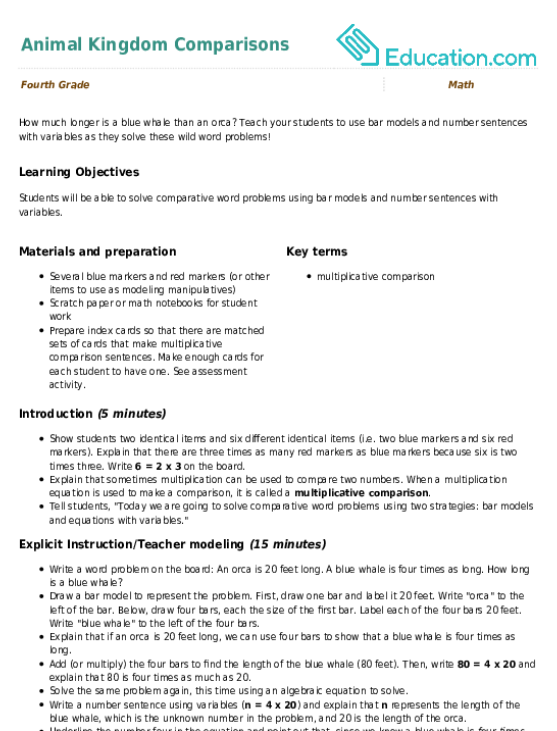 How about rectangles in the minarets? Have him draw the shapes he sees onto construction paper in corresponding colors. Encourage him to cut them out and carefully assemble them on a sheet of construction paper. Once the mosque is arranged, ask him to fill in the surrounding scenery to create an environment for the mosque. We created a small hill in front, for example. To celebrate Ramadan, ask him to add a crescent moon with a star. The sighting of the crescent moon in the ninth month of the year signifies the start of Ramadan. Ask him to glue down all of the shapes to recreate his own Blue Mosque. Use markers to fill in the details, like windows. This fun worksheet is jam-packed with fun facts, a word search and trivia questions, all about the baboon! For piano lovers everywhere, here's a fun reading exercise featuring George Gershwin, the composer who wrote the brilliant Rhapsody in Blue. Did you know this planet is blue and spins on its side? Salute the red, white and blue while reviewing times tables, even during summer break! Salute the red, white and blue while reviewing times tables! This is review to keep maths facts straight heading into year five. Roses are red, violets are blue, I know the parts of a flower, how about you? Learn about flower anatomy with this worksheet. Salute the red, white and blue while reviewing times tables with division equations using multiples of 5. After your students read an excerpt of The Land of the Blue Flower, ask them to respond to a writing prompt. Encourage them to use comparative works like similarly and unlike. Encourage your young vehicle-enthusiast to colour it in with a trendsetting colour like cobalt blue, cherry red, or jet black. How much longer is a blue whale than an orca? Teach your students to use bar models and number sentences with variables as they solve these wild word problems! Turn an abstract lesson into a practical craft with the fun and colorful creation of dough earth layers!